My son was looking for bar stools for his new apartment and I found 3 of these at a thrift store. I paid $3 each and purchased marine vinyl at JoAnns for $9 on sale. 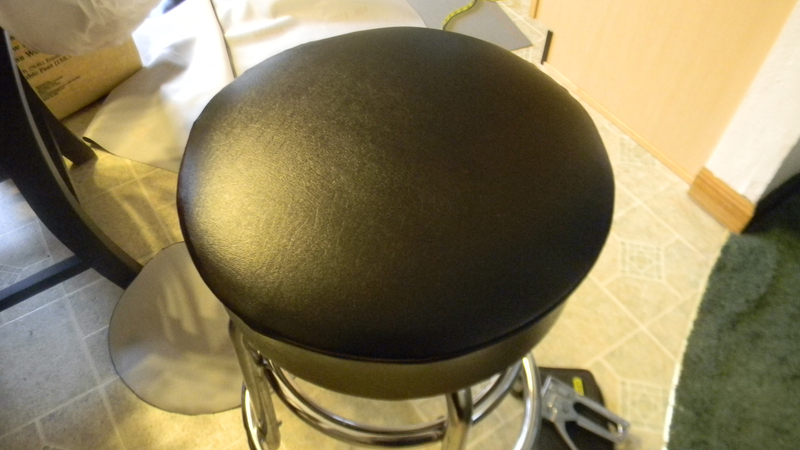 I flipped the stool upside down and traced the top. 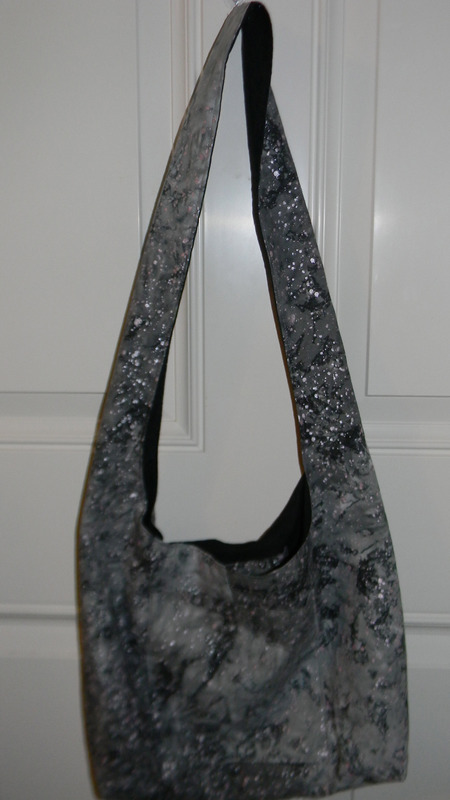 I then added 5/8″ seam allowance. I measured around the stool which was 44″so I cut a large rectangle 45 1/4″ x 7″. After sewing the seam allowance for the strip I then sewed the circle to the strip. 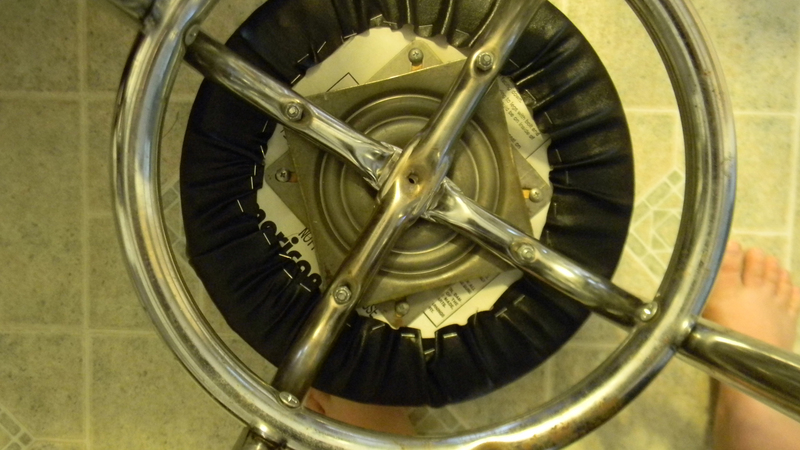 After placing the new cover on the seat I flipped it upside down and stapled the fabric down. This was such a quick and inexpensive project. 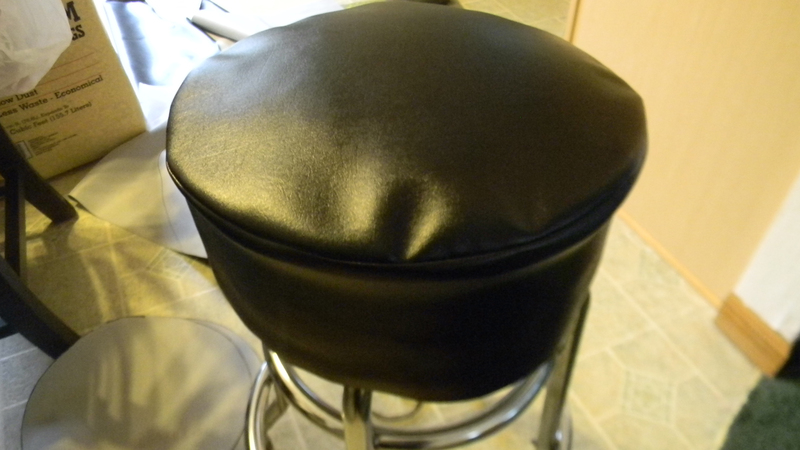 I did a search on bar stools and the least expensive ones I could find like these were $52 each. 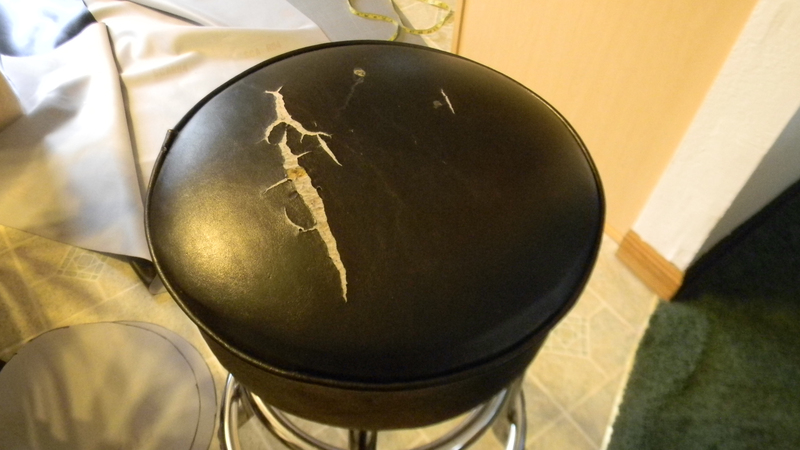 This entry was posted in Crafts, Posts, Reconstruction, Sewing and tagged Recovering Bar Stools. Bookmark the permalink.